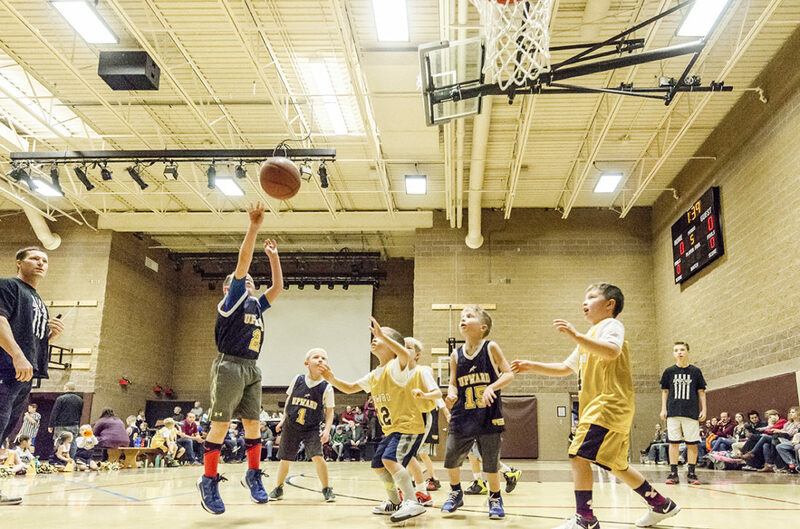 Upward Sports is not your average youth sports program. 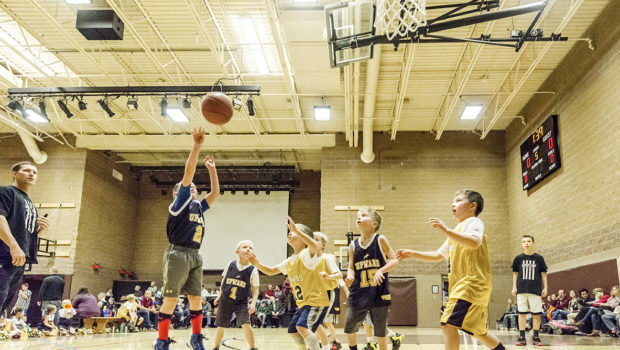 In fact, Upward Sports is the world’s largest Christian youth sports provider. Created to help produce players who excel both on and off the court, their primary goal is to help young people grow in their personal athletic journeys by helping them develop mentally, athletically, spiritually, and socially. 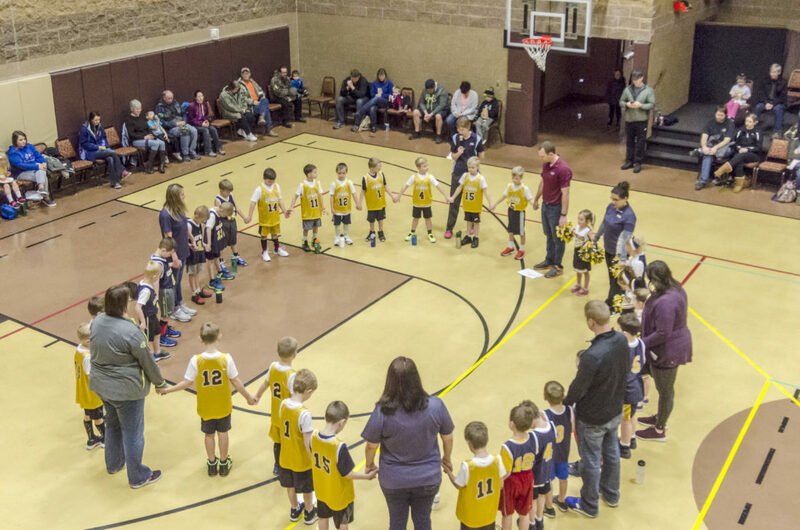 Through Upward Sports, approximately half a million players participate in camps, clinics, and leagues at more than 2,000 churches in 47 states. The program started in Aberdeen in 2009 with approximately 70 participating kids. As of 2018, the program has expanded to approximately 340 kids participating throughout the community. 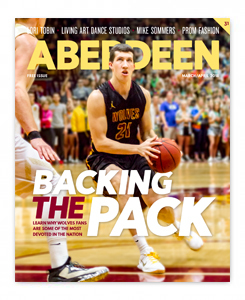 Specifically in Aberdeen, Upward Sports offers basketball and cheerleading to kids ranging from age five through the sixth grade. Michelle Jesz, Director of Upward Sports in Aberdeen, leads the process. Michelle originally became involved in the program when her daughter started cheerleading and she volunteered as a co-coach. Now, Michelle is in her third season as director and has been continuously working to improve the program and gain new players and volunteers. 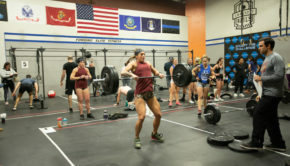 This unique program essentially begins in the summer with the recruitment, registration, and evaluation process. First, Michelle, and other volunteers, set up a booth at the Brown County Fair. They have a booth for people to stop by, learn more information about the program, and register for the upcoming season. 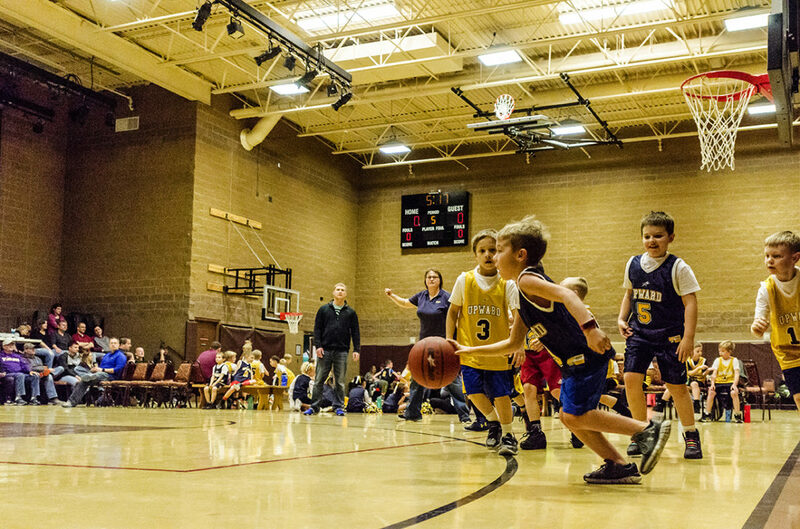 Following registration, kids attend their first practice, where coaches evaluate their basketball skills and experience. The evaluation process is designed to match kids with other players with similar skill sets. 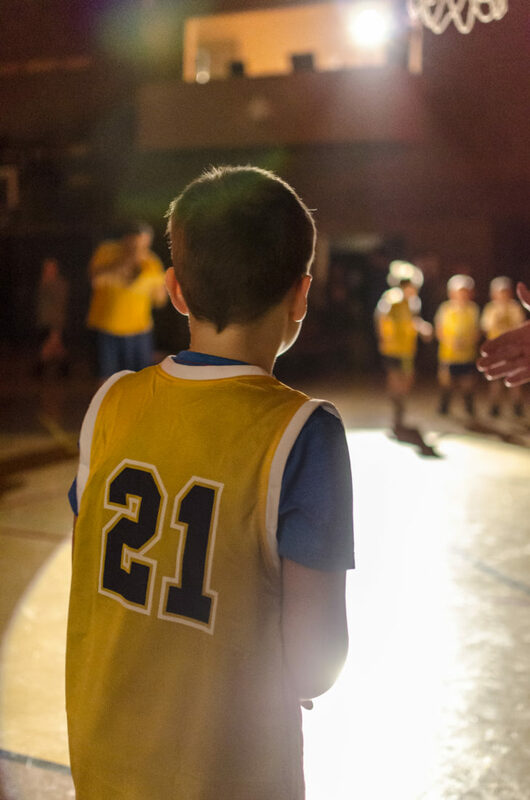 Once the evaluation process is completed, kids are divided into teams based on age, grade, basketball skills, and experience. Each team has a variety of skills and experience to make the games more evenly matched and fun for everyone involved. 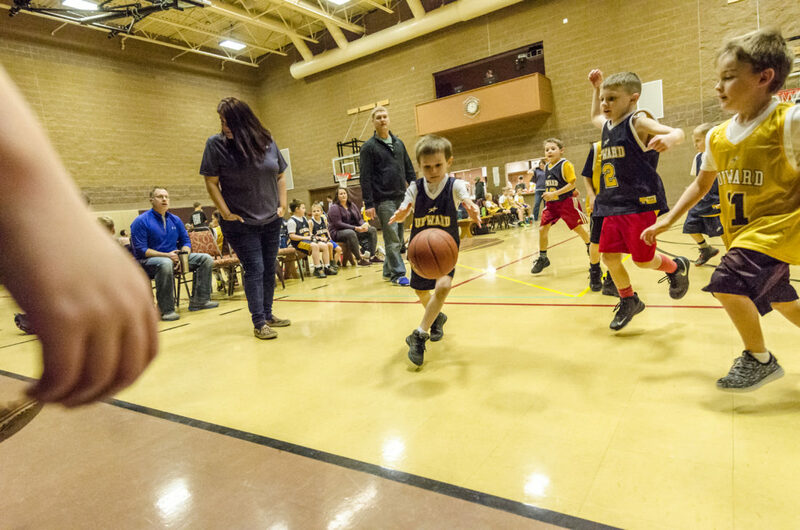 The deadline for Upward Sports registration in Aberdeen every year is in October, with evaluations following in November. Practices begin in the weeks leading up to the start of the season, which, this year, was January 19. The season lasts from the beginning of January to mid-March. 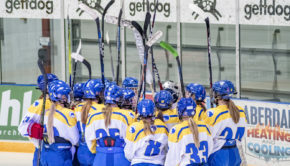 With practice during the week, games are played on Friday nights and occasionally on Saturdays, depending on the number of teams that are playing. Although the season only lasts a few months, Michelle stays busy throughout the year. 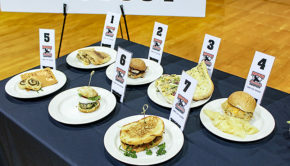 Upward Sports hosts a basketball camp in July, and volunteers raise money for the program by working concessions at various events during the offseason. While creating a great basketball experience, the program also aims to promote the discovery of Jesus through sports. Whether it’s adding aspects of the Bible to practice or having devotions at halftime of a game, coaches make sure to promote the values of Christianity whenever and wherever possible. The life of integrity, the opportunity to serve, and the discipline of excellence are just a few of the values that Upward Sports is designed to encourage. Promoting equal opportunity, sportsmanship, kindness, and character are also core values of the program. During these devotions, all players, coaches, parents, and spectators are encouraged to participate as well. 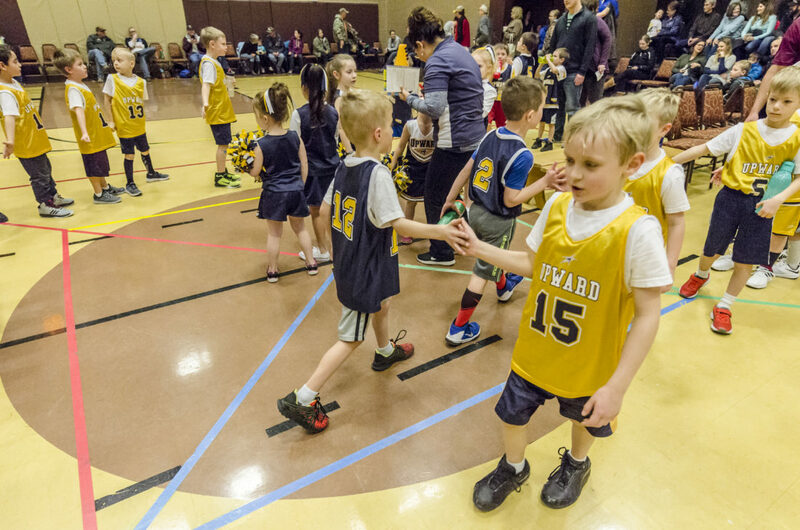 The overall goal of Upward Sports is to promote the discovery of Jesus, but they are not affiliated with any church in particular. 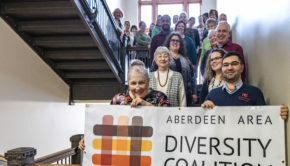 However, they have partnered with Bethlehem Lutheran Church, are recognized with First United Methodist Church, and play at First Baptist Church, to name a few. If you have any questions about signing up or registration costs, contact Michelle at upward@aberdeenfirst.org. Scholarships opportunities are available. To get involved or if you have any questions about the program, visit the Upward Sports page on Facebook, or visit their website at www.upward.org.